Renting a photo booth vancouver is one of the best ways to spice up any event. 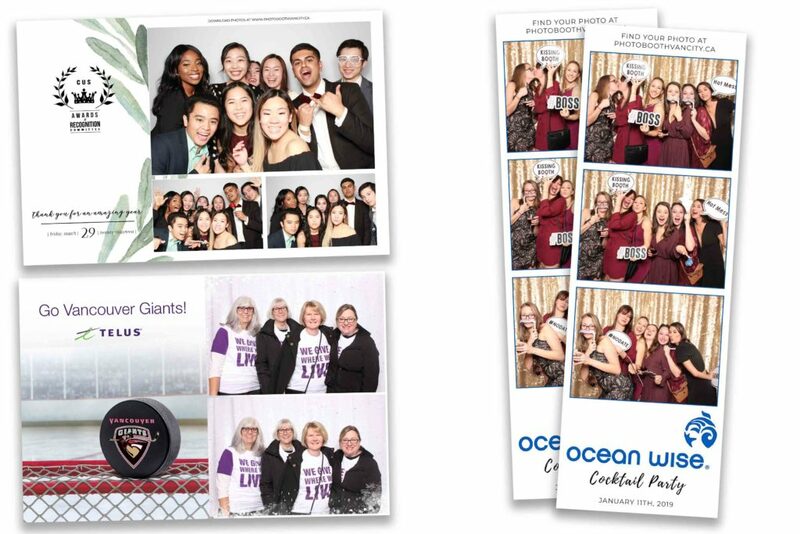 From private celebrations to corporate functions, photos taken at photo booths are big hits that go on to become meaningful and shareable memorabilia! Our photo booth vancouver rental service comes with a repository of print layouts along with a great selection of photo templates that will jazz up your photos. You will find botanical, floral and romantic templates that are ideal for weddings, baby showers and birthdays. Retro or glamorous themes are popular for prom, graduations and school reunions. We also have festive templates for holidays and special occasions as well as simple yet classy designs for corporate events. In addition to the readily available options, we are able to personalize the photo templates according to your objectives, preferences and requirements. Based on our extensive portfolio of works, we have fitted a Tiffany & Co perfume bottle onto the trademark turquoise background as template, used graphics like ukulele, tropical fronds and surfboard for a Hawaiian Luau party and crafted memorable taglines for a variety of events. From formal and informative, to outrageous and elaborate, be it large scale function or small, intimate get-together, we will create the perfect photo template for you. As you can see, the sky is the limit when it comes to customization possibilities. On top of bespoke motifs and visuals, you can also add logo to your template. For text, you can include details such as the date of the event, name of the function, sponsor or organizer, hashtag, slogan, tagline or website URL. Vancity photo booth vancouver provide templates in three main print layouts: 4” by 6” horizontal, 6” by 4” vertical and 2” by 6” strips. We can incorporate up to 4 different photos on each layout. 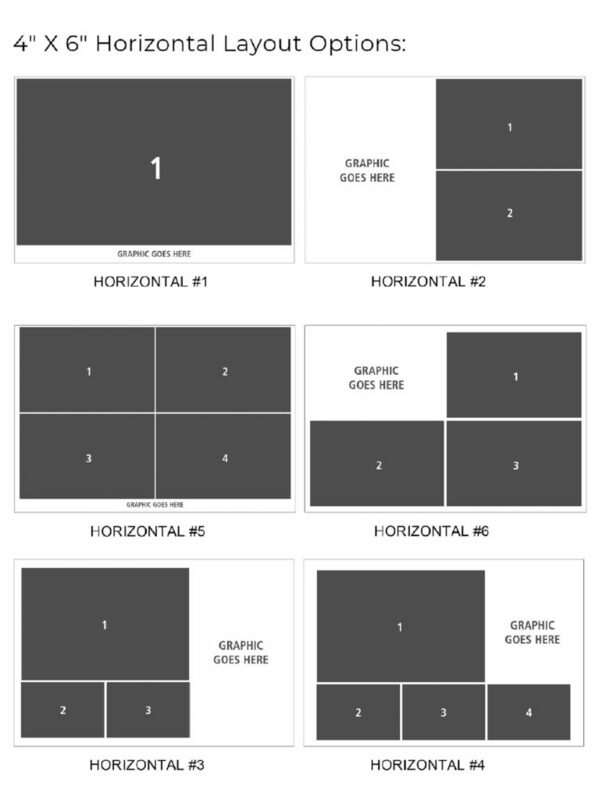 For the 4” by 6” horizontal postcard style layout, we have 6 layouts all featuring horizontal shots. From single photo to a combination of photos in smaller sizes, this format is flexible and can offer the most space for showcasing your customized graphic. There is no repeat of shots for this layout. 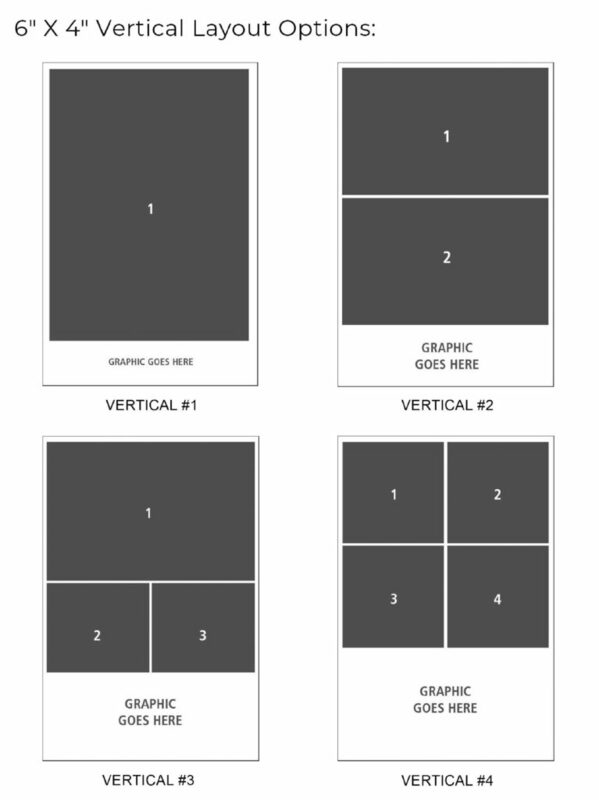 For the 6” by 4” vertical layout, we offer 4 different designs, from one large photo to a varied mix of up to 4 shots, with horizontal, vertical as well as square photos. There is no repeat of photos for this format. For the 2” by 6” strips layout, the photos are actually printed in a 4” by 6” format before being cut into two by the printer. You will find 3 main designs for this layout, showcasing either 3 or 4 different photos, duplicated side by side. From Taylor Swift to Robert Downey Jr., we love how celebrities have popularized photo booths and inspired us with trendy photo ideas. 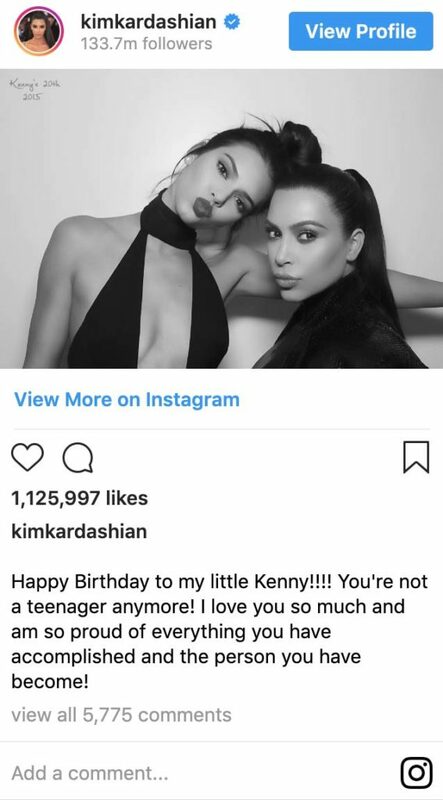 We can do minimalistic single photo frame with black and white filter, finished with small text at the corner, just like what Kim Kardashian had for one of her events. The results are cool photos which look timeless and ultra chic. 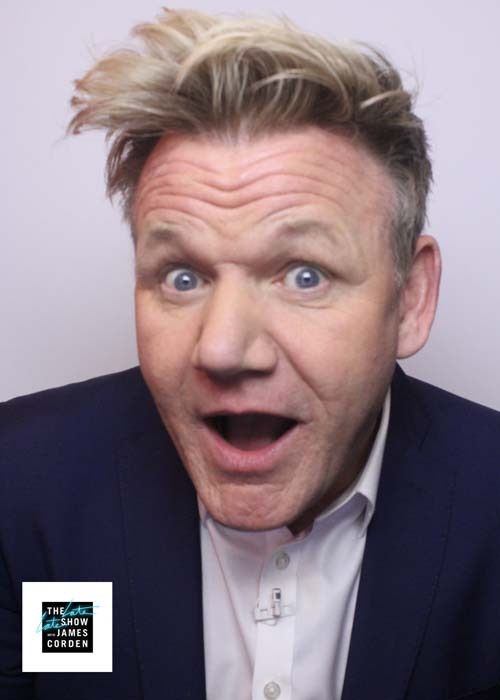 For something dynamic and stylish, we can produce a template with a single coloured photo and add a logo, in the style of what James Corden does for the guests on his show. 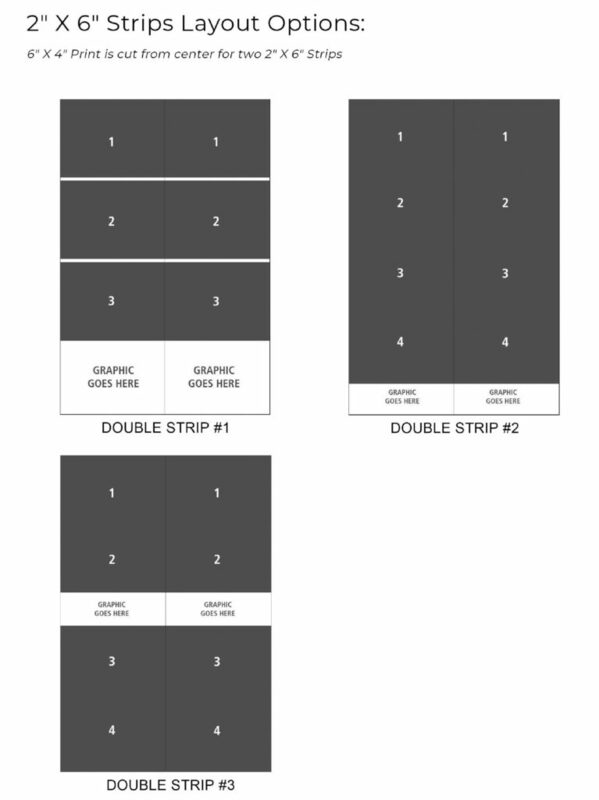 If you fancy old school strip collages as seen from Harry Styles’ birthday party, you will like our exclusive strips template. 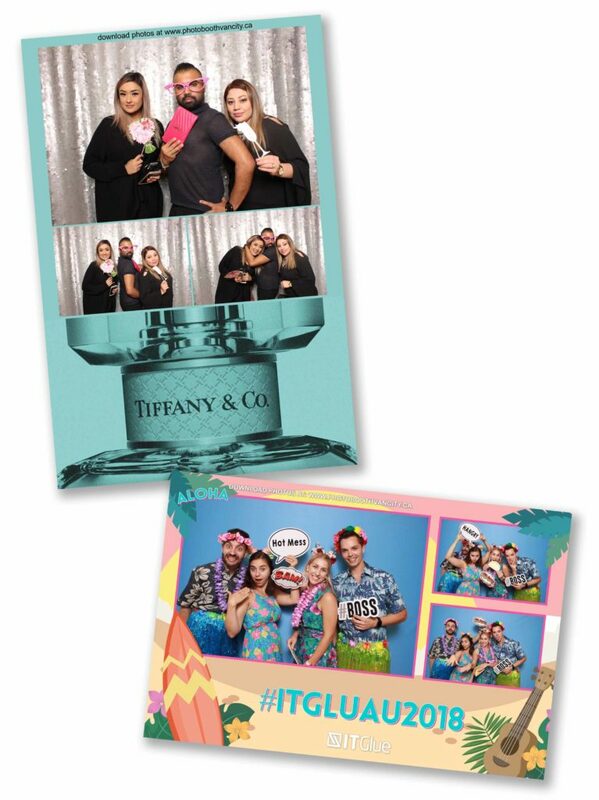 Having photos taken at photo booths is more than an entertaining social activity, it is also a brilliant branding moment for individuals, companies and businesses. Not only do we offer you a large collection of photo booth templates to choose from, our graphics designer team is bound to help you develop the best template design that will convey the exact vibe you desire for your event. Haven’t reserved a Photo Booth yet?